Our Pediatric Air Ambulance and Intensive Care Transport for children is exclusively specialized in pediatric patients. Our Pediatric Intensive Care Transport is for pediatric patients with severe and life-threatening illnesses and injuries. 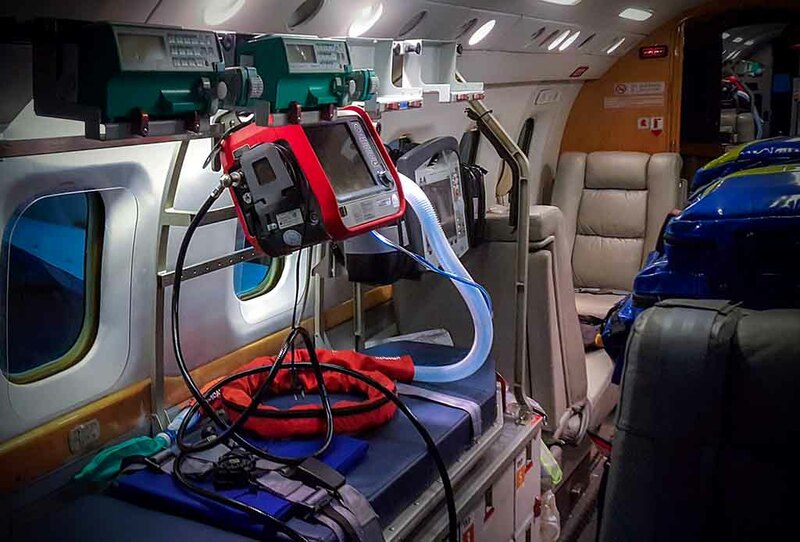 Our air ambulance aircrafts are specially outfitted airplanes, to transport injured or sick children worldwide. 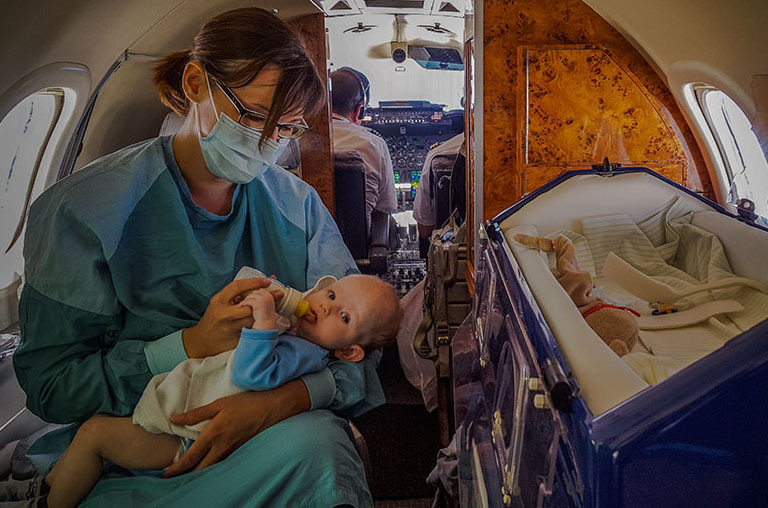 We provide a full specialized Neonatology Team for Incubator Transport with neonates and newborns worldwide. We are able to provide a full pediatric ECMO and ECLS Team, including a cardiologist, a cardio technican and a cardiac surgeon. Children are not small Adults. Knowing the huge differences in anatomy, physiology and common diseases is essential for the safe transport of children. Our high end neonatology and pediatric intensive care equipment equals the best high-level ICUs of German university children hospitals. Hand picked experienced medical staff combined with the highest medical standards, guarantee patient transports on the highest level. 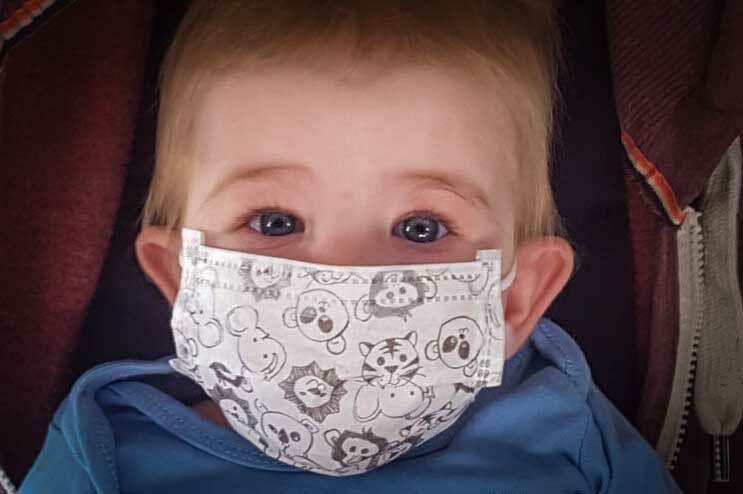 … from parents and experts about our Intensive Care Transport and our Pediatric Air Ambulance. The first step is making contact with us via phone or mail! We will answer any questions you may have.